★ Meyer A, Cserer A, Schmidt M. 2013. Frankenstein 2.0.: Identifying and characterising synthetic biology engineers in science fiction films. Life Sciences, Society and Policy. Vol: 9:9. ★ Pei L, Schmidt M, Wei W. 2011. Synthetic biology: an emerging research field in China. Biotechnology Advances. Vol 29(6):804-814. 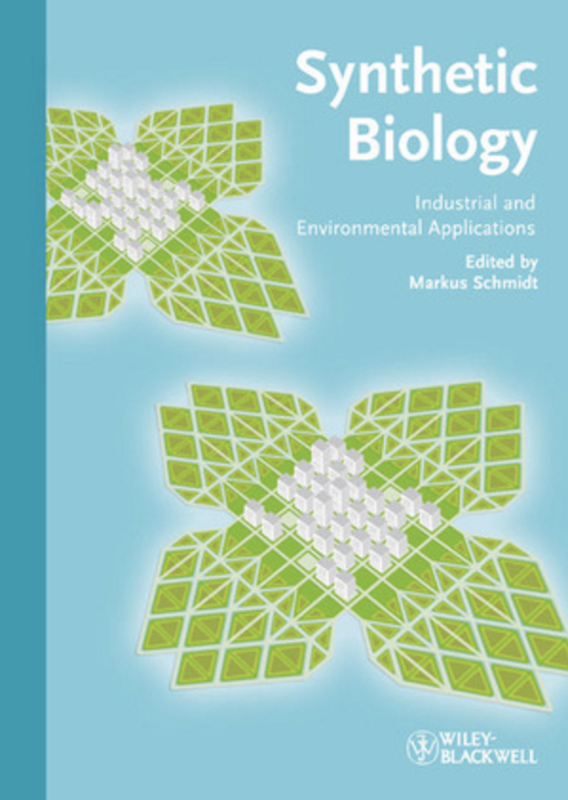 ★ Seyfried G, Schmidt M. (forthcoming) Standardisierte Biologie – Ein wissenschaftlicher Kochworkshop. Proceedings of the Prototype Nature Conference and Workshop. ★ Kerbe W., Khodhzaeva A., Schmidt M. 2015. Using Short Films for Public Engagement with Synthetic Biology. Proceedings form the 2015 PACITA Conference in Berlin: The Next Horizon of Technology Assessment. ★ Schmidt M. 2013. Safeguarding the Genetic Firewall with Xenobiology. In: ISGP. 2013. 21st Century Borders/Synthetic Biology: Focus on Responsibility and Governance. ★ Schmidt M. 2012. Xenobiologie: Neues Leben mit integrierter Biosicherheit. ★ Cserer A, Seiringer A, Schmidt M. 2011. Darstellungen der Synthetischen Biologie. p369-386. ★ Schmidt M. 2011. Biosicherheit und Synthetische Biologie. ★ Schmidt M, Dando M, Deplazes A. 2011. Dealing with the outer reaches of synthetic biology. Biosafety, biosecurity, IPR and ethical challenges of chemical synthetic biology. ★ Schmidt M. 2016. Can RRI help to overcome ethical issues in new and emerging (bio)technologies? RRI Tools Blog. ★ deLorenzo V. and Schmidt M. 2015. The Power Game: Setting standards for synthetic biology. ★ Schmidt M. 2015. Unlocking Marine Biotechnology. ★ Radchuk O. and Schmidt M. 2015. Standards in Synthetic Biology Workshop. ★ Torgersen H. and Schmidt M. 2013. Sag, wie ist die Synthetische Biologie? Die Macht von Vergleichen für das Image einer Technologie. ★ Schmidt M. 2012. Forskere vil opbygge nye genetiske meta-koder. ★ Schmidt M and Fuchs S, 2012. Obsolescence and synthetic biology. Sustainable to evolvable. ★ Schmidt M, 2012. The Green Gold Rush. ★ Vermeire T. et al. 2015. Final Opinion on Synthetic Biology II: Risk assessment methodologies and safety aspects. ★ Vermeire T. et al. 2014. Final Opinion on Synthetic Biology: Definition. ★ Schmidt M, Meinhart C, Radchuk O. 2014. Communicating synthetic biology via SYNMOD game. ISAGA (International Simulation and Gaming Association) conference in Dornbirn, Austria. July 2014. 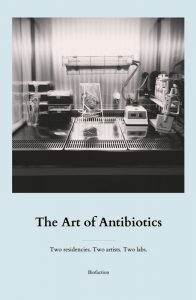 ★ Radchuk O., Meinhart C, Schmidt M. 2014- A serious game for public engagement in synthetic biology. GameDays 2014. Darmstadt, Germany. 1-4 April 2014. ★ Schmidt M, Meinhart C, Radchuk O. 2014. Bridging science and society: communicating synthetic biology. ★ Kerbe W. 2013. What is life – in everyday discourse? ★ Radchuk O, Meinhart C, Schmidt M. 2013. Gamifying Synthetic Biology: the SYNMOD mobile game. ★ Schmidt M, Pei L, Marliere P. 2013. Xenobiology and Biosafety: Challenges and Opportunities. ★ Torgersen H, Schmidt M, 2013. Frames and comparators: the Case of Synthetic Biology. ★ Pei L. 2013. Xenobiology and biosafety: challenges and opportunities. 16th conference of the European Biosafety Association (EBSA). 19 to 20 June 2013. Basel, Switzerland. ★ Schmidt M. 2012. Xenobiologie: Andere Lebensformen sind machbar. ★ Kerbe W, Schmidt M. 2012. Engineering Life? Synthetische Biologie und die Technisierung des Lebendigen. ★ Schmidt M, Torgersen H, Kuffner A., Bedstedt B, Gram S. 2012. World Wide Views on Biodiversity – Information Booklet. ★ Schmidt M, Torgersen H. 2012. Standardising Synthetic Biology: Contributing to the Bioeconomy? ★ Hauser J and Schmidt M. 2011. Gallery Guide for the SYNTH-ETHIC exhibition in the Museum of Natural History in Vienna, May 14 – June 28, 2011. ★ Schmidt M. 2011. 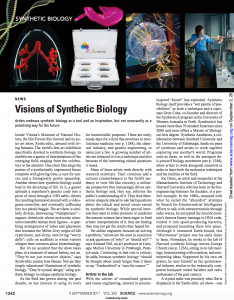 Synthetic biology: planning for a secure future. American Institute for the Biological Sciences.